Music is the heartbeat of any gathering. Whether it’s a corporate event, party, convention, cocktail hour or a beach wedding, playing the right music is a must when it comes to you and your guests having a great time. Hiring a DJ for your event might seem set the tone for your party music, but it just can’t compare to the energy and rhythm of hiring a live band for your event. But why settle for just any live band when you can hire a unique band that plays the best steel drum music in Florida? Your beach wedding, corporate event or cocktail party is just a phone call away from perfection with the soothing steel drum sounds of tropical paradise from RythmTrail. With over 300 events each year across the globe, you can be sure RythmTrail Steel Drum Band has the experience to make your party, beach wedding or corporate event a memorable and enjoyable occasion. Whether you’re having your beach wedding in Miami Beach or you just need steel drum players for your corporate convention in Naples, you can be sure RythmTrail will play your favorite tunes. From just one steel drum player or an entire steel drum band, RythmTrail can play any event in Daytona Beach, Palm Beach, Destin, South Florida, Panama Beach, Orlando, Clearwater Beach, Florida Keys and anywhere else you need in Florida, nationwide and even internationally. 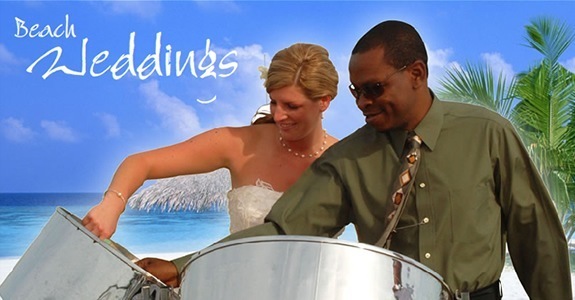 RythmTrail steel drum bands beach wedding ceremonies can be as basic as a single steel drum player for your beach wedding reception or as complex as an entire beach wedding from beginning to end—it’s all up to you on your special day. 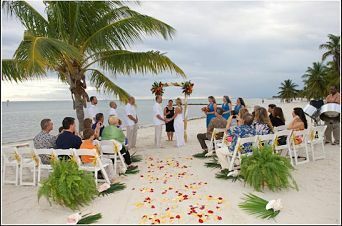 RythmTrail offers beach wedding pre-ceremony, ceremony, cocktail hour and wedding reception music for your beach wedding; both indoors and out. RythmTrail will set the tone for your beach wedding by greeting arriving guests with tranquil steel drum music or liven up your wedding reception with your favorite reggae, Latin and calypso dance music. RythmTrail will also make wedding announcements, greet arriving guests and even announce the bride and groom before playing the wedding recessional march. Our extensive playlists are sure to make your beach wedding a memorable one. From Canon in D to the Somewhere Over the Rainbow to your favorite Bob Marley songs, RythmTrail can play soft and luxurious music for your beach wedding ceremony as well as your favorite dancing favorites for your beach wedding reception. And even when RythmTrail is taking a short break, they keep the party going with recorded songs to match your beach themed wedding perfectly.